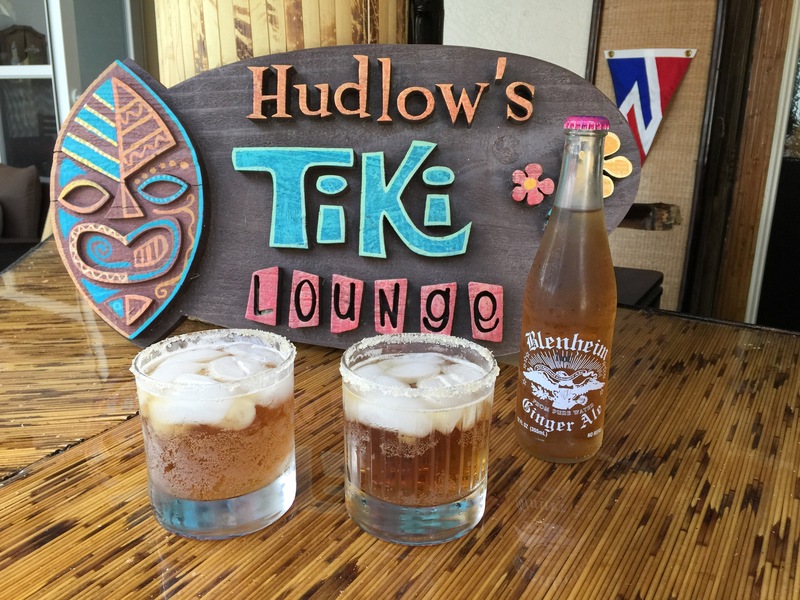 Every now and then I relax at my own place, sit at my tiki bar and have a drink. Rather than my normal Manhattan I decided to mix up a spicy Blenheim Ginger Ale and bourbon. I was first introduced to this drink at a great bar in Manhattan called Great Jones Cafe. It is made with Blenheim Ginger Ale from South Carolina. This soda will knock you back on your feet and takes no prisoners. It is freakin’ fantastic. Pour the bourbon over the ice and top it all off with Spicy Blenheim Ginger Ale, filling the glass. I will warn you that this drink is hot, but not in the childish way that these new “fire” bourbon blends that are on the market. This is a sophisticated heat. And I can never have too many. Note: Blenhiem can be as hard as Pappy Van Winkle to find. Make it easy on yourself and order online. It isn’t cheap for soda, but then again good things never are. I add 2 dashes of angostura bitters for an even more refined drink. I drink bourbon, ginger beer, and bitters like you drink Manhattans. You can bet I’ll give your version a try!